A developer has proposed demolishing the old Logan’s restaurant on Sunrise Blvd. in order to construct a new 10,000-square-feet building closer to the street. 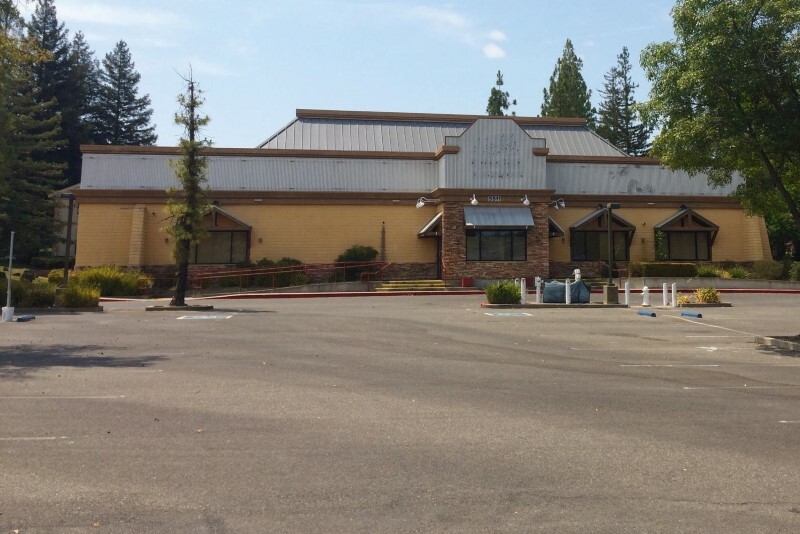 Following the closure of the old Citrus Heights Logan’s Roadhouse restaurant on Sunrise Boulevard earlier this year, the property’s new owner is proposing to demolish the old building and construct a new 10,000-square-feet retail and restaurant center situated closer towards the street. Although permits and approval from the planning commission have yet to be acquired, Jimboy’s Tacos has already signed a lease to be one of four likely future tenants at the location, according to Aaron Dan of Lockehouse Retail Group, the leasing agent for the property. He told The Sentinel on Thursday that negotiations with several other tenants are also underway. The new center is proposed to replace the old 8,500 square feet building with a modern four-tenant layout, featuring 99 parking spots in the rear and storefronts “right up on Sunrise.” Proposed sizes range from 2,100-square-feet to a larger 3,800-square-feet space, with some spaces divisible to 1,000 square feet, according to a leasing brochure. Dan said construction would likely begin by the end of the year, “assuming no hurdles” with permits or entitlements. He estimated construction to be completed in time for delivery to tenants early next year. Kathilynn Carpenter, who serves as executive director of the Sunrise Marketplace business improvement district, called the development proposal a “positive addition” to the area and said the building layout closer to the street would help improve the appearance and visibility for future tenants. After Logan’s Roadhouse Corporation filed for bankruptcy last year, the local franchisee initially posted a notice on the front door stating the Citrus Heights location would remain open. However, doors on the restaurant permanently closed earlier this year. Sacramento County property records show the 1.5-acre parcel at 5511 Sunrise Blvd. was sold to a company managed by investor Myron Zimmerman in February for $2.3 million. Zimmerman’s Bay Area-based investment firm, Myron Zimmerman Investments, specializes in managing and developing commercial properties around the United States, according to the company’s website. Alison Bermudez, an associate planner with the City of Citrus Heights, said the city is currently working with the developer on the design proposal and is awaiting submission of revised plans. She said the project will require a hearing before both the planning commission and city council, but said a hearing date has not yet been scheduled. Nearby improvements are also underway, with an outdated strip mall across the street next to Nations undergoing a major face-lift in recent months. The project is scheduled to be completed this year, with future tenants including Dos Coyotes Border Cafe and Pizza Rev.